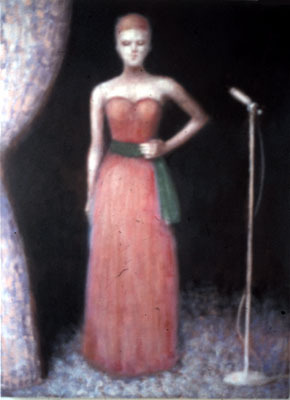 This months featured painting is entitled “Calling” from 1985. “Calling” was Ian’s rendering of a Caravaggio painting. 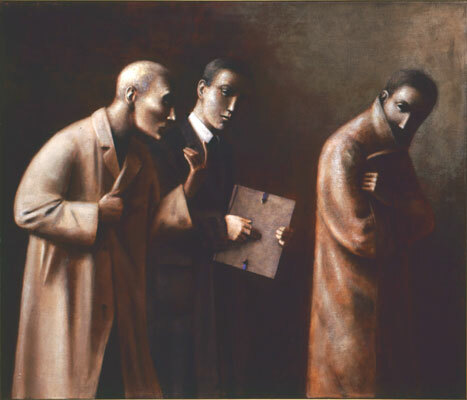 This was the painting where the name Sinister Men Series came about from Nick Treadwells description of the men looking sinister. Nick Treadwell was Ian’s UK based art dealer in the 1980’s.